Tarot and Timing – All things metaphysical. One of the most difficult aspects in reading tarot is trying to assess when things will happen. Timing becomes particularly of interest when a client wants to know when they will meet their next romantic partner, or how long it will be until they find a job. You will be hard-pressed to escape timing questions when reading tarot for others. To help make this a little easier for beginning readers, I have compiled several ways to answer those difficult “when” questions. This is by far my favorite way of determining a specific time frame. To do this, you ask your question and draw a single card, then use the suit/arcana to determine the time frame. Using this method, swords are days, wands are weeks, cups are months, and pentacles are years. The corresponding number of the card provides specifics. For example, if you asked how long it would be until you got a job offer, the four of wands would indicate a time period of four weeks. Court cards mean that other things must transpire before a time frame can be determined, so the answer is unclear at the moment. If a card from the major arcana is pulled, the issue that corresponds to the card must first be addressed before the desired outcome can occur. If someone looking for love pulled the Emperor card, then the advice may be that the structure of their life isn’t conducive to a new relationship. They may be too rigid and controlling with their time, making it impossible to socialize and meet new people. This method uses the corresponding season associated with each suit to determine when an event will happen. In this method, wands are summer, cups are autumn, pentacles are winter, and spring are swords. I will often use this method to double-check that the timing suggested by the first method is correct. Each tarot card has a specific time period associated with it. If you choose to use this method, you will need a source for determining what that time frame is. I have many tarot books that assist with this. For example, the Eight of Swords corresponds with the first decan of Gemini (May 21st – 31st). If you pulled that card in answer to your question, then that may be when the event will occur. This is far simpler when you are using the major arcana, as many tarot decks will provide visual clues on the card to help you remember what the astrological significance is of the card. For instance, in the Thoth deck, there is clearly a ram on Emperor card, denoting Aries. Experiment with these methods and see what works for you. Feel free to explore these methods, and let me know what you think. Do you have a preferred method that you want to share? If so, please tell me in the comments. I am currently accepting new clients by appointment only. 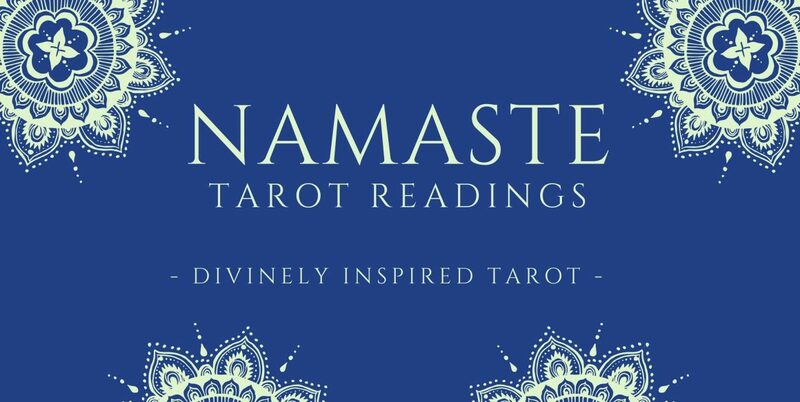 To learn more about me and my services, visit www.namastetarotreadings.com.